Nicki Minaj has "so much" love for rumored boyfriend Eminem. The 35-year-old rapper voiced her love for Eminem in a tweet Sunday after the 45-year-old recording artist addressed dating rumors during his concert in Boston, Mass. "LMFAOOOOOOOOOOOOOOO. The fact that he's silly & a goof just like me," Minaj said of Eminem's reaction. "Love him so much." "Em we need you on the #Queen album. That's where our 1st date will be; at the studio while I gaze into ur beautiful eyes as u write ur verse," she added. Eminem was performing at Boston Calling Music Festival when he asked the audience if they wanted him to date Minaj. As the crowd responded with cheers, the rapper said, "Well goddammit me too." "Nicki if you get this message, just text me later, we'll talk about it," he added. Minaj sparked speculation last week after telling fans on Instagram she's dating Eminem. She also references the rapper by his nickname Slim Shady in her new song "Big Bank." Sources told E! News Minaj and Eminem's reported romance is a joke. 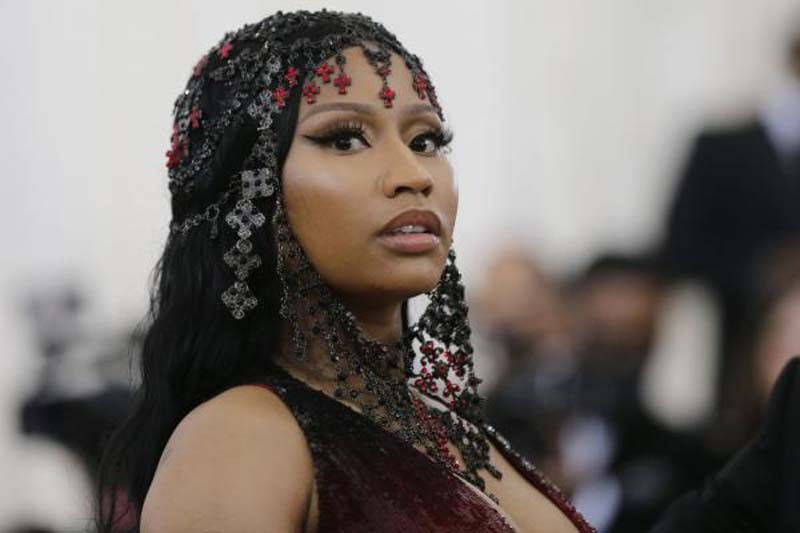 Minaj announced Thursday she is delaying the release of her album Queen from June 15 to Aug. 10.